HTC Phones in Nigeria are one of trending Android mobile phones in Nigeria mobile market today. HTC android devices are unique in a world of their own, beautiful designs with astonishing performances. This in turn makes the HTC phone brand ranked among the top Android smartphones in the world today. HTC as an android phone manufacturer (OEM) have a very strong software backup and top-notched hardware to produce some of the world’s best smart phones and devices. 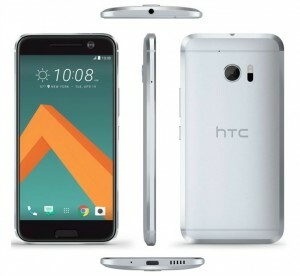 The HTC 10 was released a while ago and comes with all the features you would expect on a smart phone of this budget range. The hardware was really top-notched as it lets all games and app run so smoothly. I was quite impressed with it after installing the flashshare app that I used in pimping the HTC 10 device to taste. After the release of the HTC One M8 and HTC One M9, the company is now releasing the “One M” brand and is calling this device the “HTC 10.” The brands’ trademark explosive speaker grills are no more. These changes left HTC significantly sinked the vertical bezels on this device, these resulting to a 5.1-inch phone which isn’t preposterously tall like past models were. The device specs sheet is outlined below and looks really amazing for the budget range. It bags 2.15GHz Snapdragon 820, 4GB RAM, and standard fast storage. The Snapdragon 820 drops the ARM Cortex CPU build that was present in the Snapdragon 810 and switches to Qualcomm’s new 64-bit Kryo cores. The HTC 10 is more of what you’re looking for in a flagship phone. Unsurpassed performance. Great 24-bit Hi-Res sound and also the world’s first Optical Image Stabilization in both rear and secondary cameras. HTC 10 comes across with what may well be the highest smartphone camera in this present generation. Having innovations such as the world’s first OIS front and back, 12 million UltraPixels, faster laser autofocus and more. The device has been awarded a DxOMark score of 88 for camera quality. One of the highest scores today. smartphone which is expected to ship latter this month. know that the handset runs on the latest Android 6.0 Marshmallow. fit into any small purse or handbag. 1440 x 2560 pixels (~565 ppi pixel density). scratch on the screen of your smartphone. for Selfie and video calling. geo-tagging, touch focus, face detection, HDR, panorama. CPU clocking a a speed of 2.15 GHZ. Adreno 530 for a snappy gaming experience. can get additional storage space via a micro-SD card of up to 200GB. The latest HTC 10 packs a decent 4GBB RAM for fluid multitasking and much more. HTC 10 droid is a bit pricey at about $720. It can be bought from HTC outlets, dealers and most online shopping malls. It goes for about N140,000 in Nigeria.